The G510 is the reincarnation of the original legendary G15 gaming keyboard, just with more power and more abilities than ever before. If you can afford the best, this keyboard should be at the top of your list. The keyboard’s size stands out as it is considerably larger than a normal keyboard. Logitech has made use of the extra landscape by adding features. Among these are typical multimedia keys; volume adjustment (and mute button) on the upper right hand corner of the keyboard; an integrated LCD in the center; and the macro keys on the left side. Many of these are inherited from its brethren flagship G19 and legendary G15, but there is an overall sense of refinement to the G510. To be honest, how I view this new model is that it is the keyboard equivalent of “best of” music CD. Logitech seems to have taken all the ideas which worked with previous G models and done away with most that didn’t. Please don’t get me wrong; they didn’t just finally make an improved G15 rev 1. Instead, they have also tweaked and refined everything to the point where it is an actual improvement over the G15 rev1. This is one of the best things I can say about any new Logitech keyboard as the original G15 was one of the best “gaming” keyboards I had ever used. For anyone that has never used a G-series keyboard, let me sum up what makes them so good. Logitech G-series keyboards are known for two things: their LCD and their macro keys. The LCD on the G510 may not be multi-colour like that of the G19, but the single colour it displays is completely customizable. The colour displayed is also tied in with what the backlighting of the keys is set to, which in turn is tied into which of the three macro modes you are using. Unlike the G19 (or original G15) which had a tiltable (and thus surprisingly easily breakable LCD panel), Logitech has gone back to the G15 rev. 2 way of doing things and made it part of the chassis. The entire left hand side of the keyboard is taken up with those powerful macro keys. Unlike the G15 rev. 2’s meager six or even the G19’s 12, there are now 18 macro keys – the same number as that of the original G15. Add in the fact that there are three mode select buttons allowing for three custom macros per button and you have 54 possible onboard custom macros. Of course, you still get that wonderful “MR” (macro record) button for on the fly macro creation. Taking things to the next level is the fact that this keyboard can sense and understand up to 5 simultaneous key combinations and you can get some pretty hefty custom macros. Each of the macro modes is accompanied by custom backlighting for not only all the keys (the lettering is on each key is transparent letting the backlighting to seep through) but also the LCD. Speaking of the backlighting, it is very subdued and subtle but that’s not such a bad thing. It is just bright enough for you to unconsciously know which set of macros are activate but not so bright as to break your concentration. Unfortunately, it is no longer adjustable. You can either have it on or off via a dedicated button, as there is no longer a “low” setting. In a very nice move, Logitech has kept the media slider switch from previous models which turns off certain “windows” buttons so that you can’t accidentally mess up your gaming by minimizing your game. 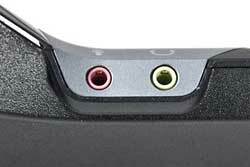 Instead of USB ports, the G510 has included a pair of integrated headphone and microphone ports – just like the ones found on G110. The keyboard in fact has integrated USB audio, but that won’t replace a true sound card. Regardless, this convenience is a nice touch making it easier to change headphones at will without digging behind your PC. which you can disable in Windows’ Control Panel. There are some persistent weaknesses in the recent G series designs. The individual keys feature dome switch-based design with questionable durability, whereas other keyboards belonging in the same class adopt the more robust (but expensive) mechanical scissor switch design. Logitech also seems to have skimped on the wrist rest as well. The included rest seems fragile and easily broken. Basically, two applications control keyboard functions. The Logitech LCD Manager controls the G510’s LCD and what programs you wish to have it use. This program allows you to customize the LCD screen information so that it can display CPU & RAM usage or current time. 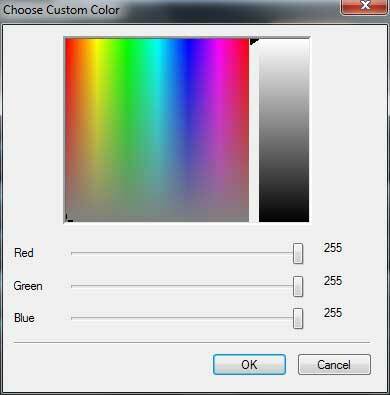 The second piece of software is for programming macros and the backlight color scheme. You can choose from 16 color presets or none/off. It also includes a full RGB menu to fine tune backlight color. This is a major improvement over the G110 keyboard over the meager 4 color blend options available in prior models. Programming macros is made easy through the included software. Upon first installation programs that have pre-built profiles are found and their macro sets enabled. 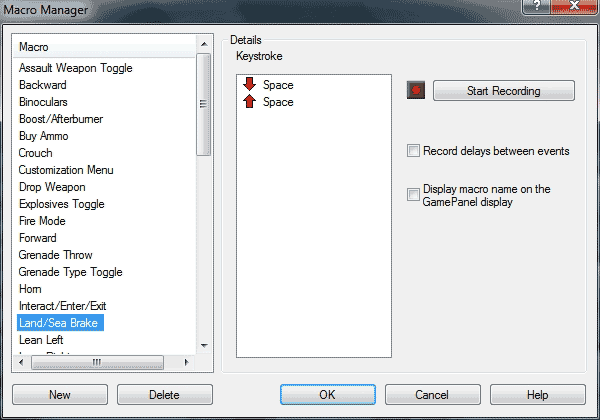 The software makes easy work of creating simple or complex keystroke recordings and assigning them to the available G keys per mode or profile. Testing was done for two different scenarios, Gaming and Work use. For the gaming section, I played three 6-8 hour marathon sessions using three different games over a period of three days. 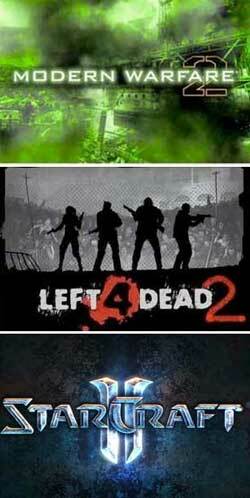 FPS games selected were Modern Warfare 2 and Left 4 Dead 2. For the RTS crowd, I tried Star Craft II. The second set of testing consists of real world usage. A “gaming keyboard” must be comfortable to use for many hours at a time. To this end, a combination of Excel, Photoshop and Firefox web surfing, over an 8 hour period should simulate a real world usage profile. The G510 shows many signs of sophisticated engineering. Similar to the G700 mouse, Logitech has retained what works and removed what does not. The increase in size was not taken lightly. Every extra square inch of real estate has a specific function. To get the maximum possible advantage from all the new features provided, you will need to invest some time in the setup. After hours of tweaking, the G510 proves itself worthy of the price and name. Logitech has done their best to help in the customization effort. Many popular games have pre-built profiles available out of the box. Tweaking each of these profiles takes a few minutes but the results justify the effort. Players of World of Warcraft, Dragon Age, Battlefield 2 and Crysis Warhead will be running and gunning better almost instantly. The LCD display can provide extra functionality within games that are designed to use it. Logitech includes a few programs that show what is possible. A clock, stopwatch and email notification program number among the tiny programs that are included. Luckily, there is a fairly active modder community built up around the Logitech GamePanel hardware generating new programs. One such example is “MouseSpeed” which allows you to change the sensitivity of your mouse. High-end mice already include this function like the G700 but more pedestrian mice will benefit greatly from this customize add-on. The flat, classic style gaming keyboard like the G510 is not nearly as comfortable as split, wave or other more ergo style keyboards. Helping to make this easier is the feel of the keys themselves. Their curved tops combined with muted click give you a nice sensory feedback so you know when you are hitting them perfectly. Its keys also have a tactile feedback that can reduce some of the typing fatigue, but users of split keyboards will miss the comfort. The 18 available macro keys can offer some relief for day to day tasks. Setting up these macros for desktop or business related functions will obviously take extra time. The desktop functions that work with the LCD don’t offer many time saving or useful functions. The LCD and macro keys really only benefit gaming scenarios. As for the built-in LCD, everything from being able to check CPU/RAM usage to time and RSS feed really does add a nice bonus to this keyboard. While I wouldn’t buy the G510 because of this feature alone, it’s a nice touch which will streamline your morning routine before you get down to real work. Of the many gaming keyboards made in the past few years, most paled in comparison to the G15. 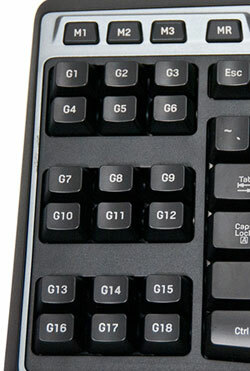 The G510 is the first refresh of the G series keyboard that is a true improvement in almost all aspects of the G15. The G19 and even the G15 rev. 2 scaled down too many of the features that made the G15 great. Streamlined macro creation and management contribute to making this keyboard a true successor to the throne instead of merely another suitor. The LCD screen is just a bonus. Logitech has always gotten the implementation and more importantly the creation of macros “right”. This keyboard continues and improves upon that tradition with its amazing 5 simultaneous key press recognition. When you combine great macros with completely custom color-coded backlighting, you instantly know which mode you are in and what each G key does. The only potential drawbacks to the Logitech G510 are its subdued backlighting and relatively high price tag. 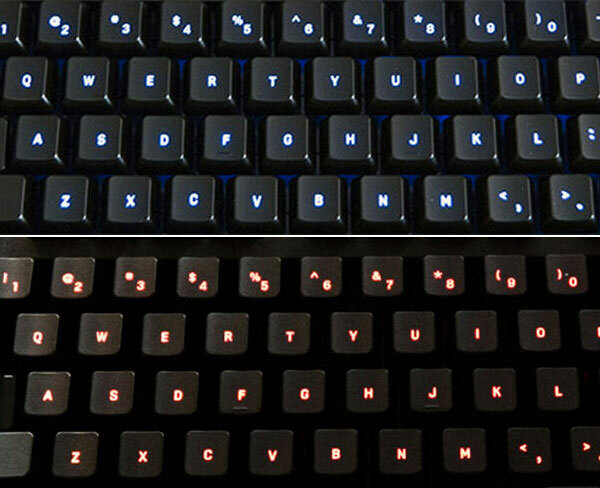 The gaming keyboard’s backlight is not as bright as some of its competitors. Adjustable brightness would have been a welcome addition. This one feature however won’t be missed by many during gameplay. If you can afford it, this keyboard really should be on your short list.